The Exchange team is announcing today the availability of Cumulative Update 8 for Exchange Server 2013. The Cumulative Update Package and UM Language Packsare now available on the Microsoft Download Center. Cumulative Update 8 represents the continuation of our Exchange Server 2013 servicing and builds upon Exchange Server 2013 Cumulative Update 7. The release includes fixes for customer reported issues, minor product enhancements and previously released security bulletins. A complete list of customer reported issues resolved can be found in Knowledge Base Article KB3030080. Customers running any previous release of Exchange Server 2013 can move directly to Cumulative Update 8 today. Customers deploying Exchange Server 2013 for the first time may skip previous releases and start their deployment with Cumulative Update 8 directly. For the latest information and product announcements please read What’s New in Exchange Server 2013, Release Notes and product documentation available on TechNet. Cumulative Update 8 includes Exchange related updates to Active Directory schema and configuration. For information on extending schema and configuring the active directory please review the appropriate TechNet documentation. Also, to prevent installation issues you should ensure that the Windows PowerShell Script Execution Policy is set to “Unrestricted” on the server being upgraded or installed. To verify the policy settings, run the Get-ExecutionPolicy cmdlet from PowerShell on the machine being upgraded. If the policies are NOT set to Unrestricted you should use the resolution steps in KB981474 to adjust the settings. Reminder: Customers in hybrid deployments where Exchange is deployed on-premises and in the cloud, or who are using Exchange Online Archiving (EOA) with their on-premises Exchange deployment are required to deploy the most current (e.g., CU8) or the prior (e.g., CU7) Cumulative Update release. Download the installer from the MDT Connect portal. Download the prerequisite Windows ADK for Windows 10 Technical Preview from the Microsoft Download Center. Moved al mailboxen to Office 365 & Still using dirsync! Can you remove the last Exchange 2010/2013 Server. Yes It Can! Just don’t do it!! You will have a support issue when you have problems!! After a customer migrated to Exchange Online some time ago. They wanted not a hybrid situation. but they are using still DirSync! After reading: Decommissioning your Exchange 2010 servers in a Hybrid Deployment a I read its not a real problem. Changed DirSync & After that Uninstalling Exchange 2013 was very easy. I did not publish this article because i has still some doubts!! I had still a question: Do want to remove the last Exchange Server? Have you a supported Environment without a local Exchange Server and still using DirSync?? You may remove the last Exchange Server locale when you move totally to Office 365/Exchange Online, but change Exchange Attribuuts trough ADSI is not supported. If you don’t have a third party tool for that. The only way is trough ADSI and that is not supported. You have a support issue when you dropped a Call at Microsoft and they investigate your environment. Don’t remove the last Exchange Server even when all mailboxen exist in Office 365/Exchange Online and keep them up to date! You can always install a Exchange Server but most of the times it will be always to late! 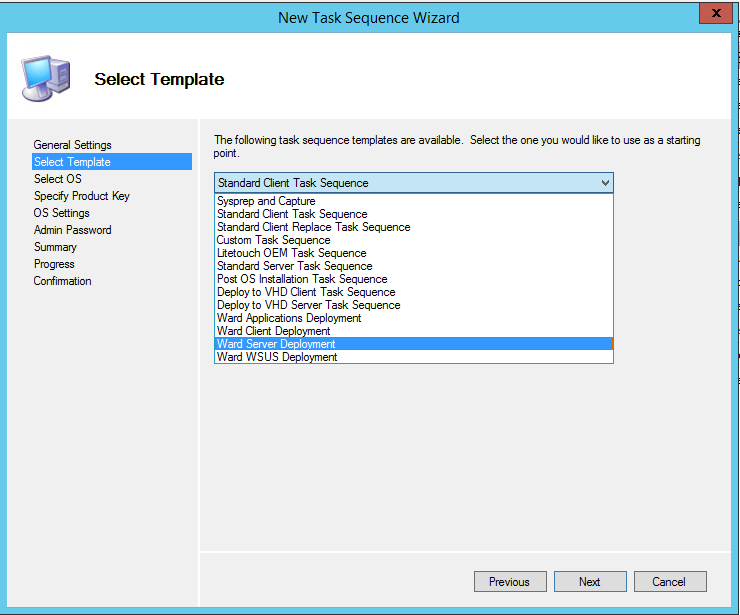 MDT is a greate tool, You can create your own Default Task Sequence for Clients Servers!! Normal i need to customize every Task Sequence that i create and that is so boring!! 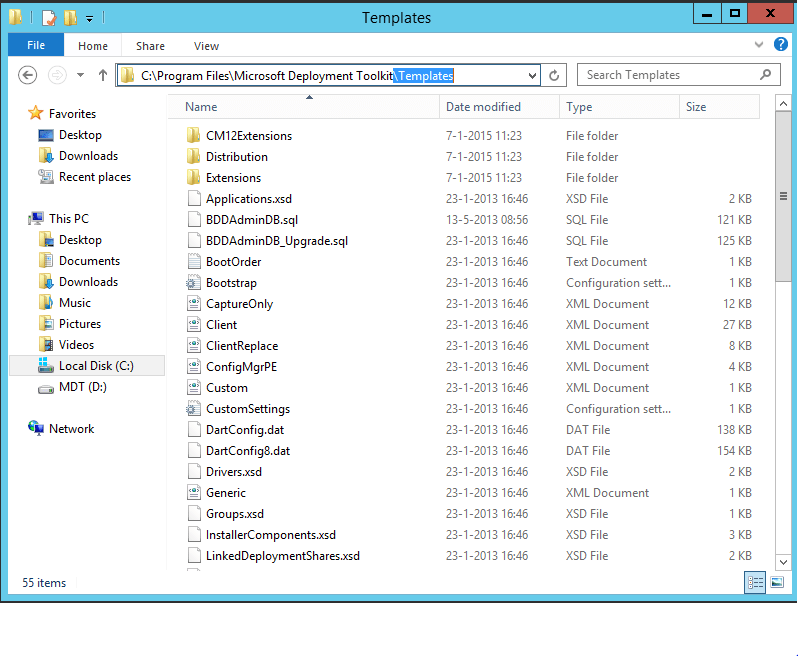 I Create in this example a task sequence (ID & NAME) Server and Changed some things things like Windows Update. When you maken now what to make a new Task Sequence, You will see Ward Server Deployment Listed. Freaking Awesome!! Mikael Nystrom created i freaking nice script. Often I need to import applications into the Deployment workbench and that is fine. The process is easy and fast, but it is boring and if you have more then 5 apps it is really boring. Based on the fact that almost all my apps in MDT is deployed using VB or PowerShell wrappers its is just one file in a folder and then there is a subfolder with the content. You don’t need to be a genius to figure out that 90% of all the apps pretty much have the same folder and file structure in the root of the application folder, so why don’t we use PowerShell to import all the apps based on some guessing? This is the tricky part, since there is no way to know that it will be a guessing game and the command line might need to be modified after import, but I rather modify 2-3 applications instead of importing all of them manually. Microsoft recommends adopting a software update strategy that ensures all software follows N to N-1 policy, where N is a service pack, update rollup, cumulative update, maintenance release, or whatever terminology is used by the software vendor. Microsoft strongly recommend that our customers also adopt a similar strategy with respect to hardware firmware and drivers ensuring that network cards, BIOS, and storage controllers/interfaces are kept up to date. Software patching is not simply an issue for Microsoft software. You must also ensure that all inter-dependent solutions (e.g., Blackberry Enterprise Server, backup software, etc.) are kept up-to-date for a specific release as this ensures optimal reliability and compatibility. Customers must also follow the software vendor’s Software Lifecycle and appropriately plan on upgrading to a supported version in the event that support for a specific version is about to expire or is already out of support. For Exchange 2010, this means having all servers deployed with Service Pack 3 and either Rollup 7 or Rollup 8 (at the time of this writing). 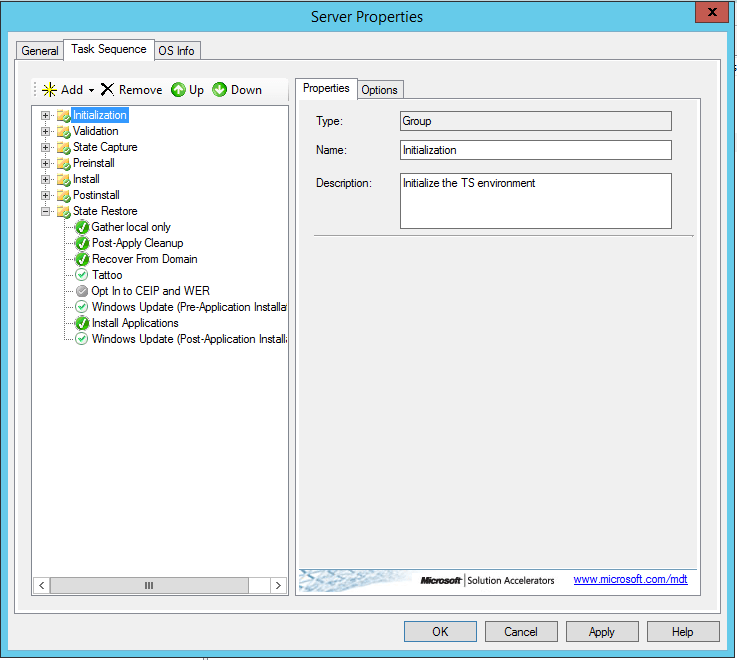 For Exchange 2013, this means having all servers deployed with Cumulative Update 6 or Cumulative Update 7 (at the time of this writing). For environments that have a hybrid configuration with Office 365, the servers participating in the hybrid configuration must be running the latest version (e.g., Exchange 2010 SP3 RU8 or Exchange 2013 CU7) or the prior version (e.g., Exchange 2010 SP3 RU7 or Exchange 2013 CU6) in order to maintain and ensure compatibility with Office 365. There are some required dependencies for hybrid deployments, so it’s even more critical you keep your software up to date if you choose to go hybrid. Posted on January 9, 2015 Categories Cloud, Exchange, Exchange 2010, Exchange 2013, Microsoft, Office 365Tags Cumulative Update 6, Deployment, Exchange, Exchange 2010, Exchange 2013, Exchange Online, Microsoft, Office 365, Rollup 71 Comment on Exchange & Patching!! !